There's a reason many of H&M's shoes often sell out very quickly: They're perfectly on trend and look expensive but won't leave you mourning the loss of your paycheck. 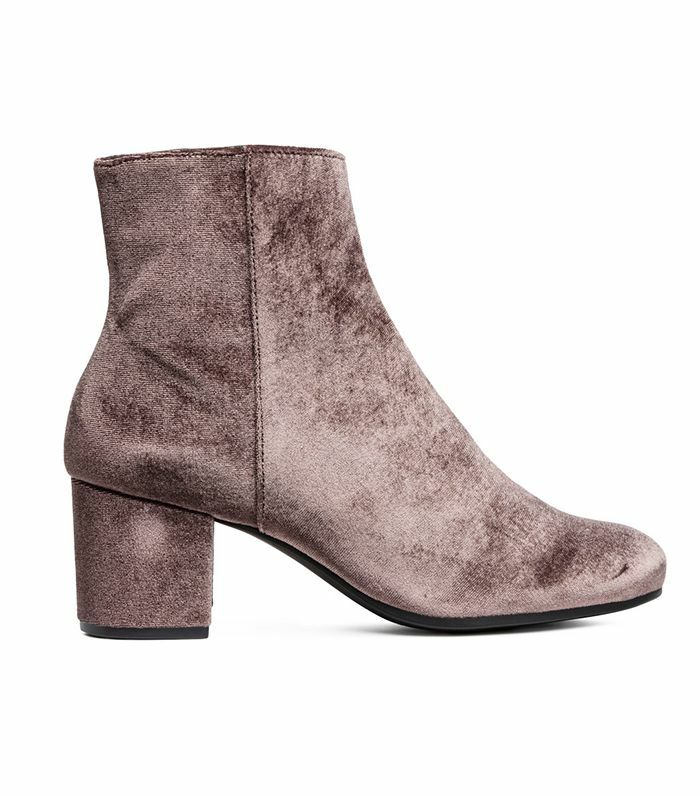 We regularly peruse the site's new arrivals, and upon doing so today, we quickly noticed that they currently have every fall shoe trend that matters in stock, including the ankle boots that celebrities are obsessed with, the trending heel height of the season, and a pair of pumps in fall's undisputed It color. Many of these styles are already low in stock, which means that we're not the only ones who are regularly perusing H&M's new-arrivals page. So before the most on-trend, expensive-looking shoes at H&M disappear, read on to shop the eight pairs that every fashion girl will want. Just like last year, velvet ankle boots are going to be everywhere. So many street style stars have been sporting western boots this fashion month. It girls like Kaia Gerber and Gigi Hadid are wearing combat boots everywhere. If you buy just one pair of pumps this season, make them red. Here's a pro top: This is the current shoe trend that looks the best with skinny jeans. Wear these to all of your fancy fall events. Get ready to make a statement with these. The glitter shoe trend has officially gone from runway (e.g. Saint Laurent and Chanel) to reality. Next up, shop more of the fall shoe trends we love.